In the Amazon Oil and Energy Section, Voices for Vermont Yankee is now 15th in books (that's all books, not just Kindle) and #1 in Kindle Books about Regional Planning. 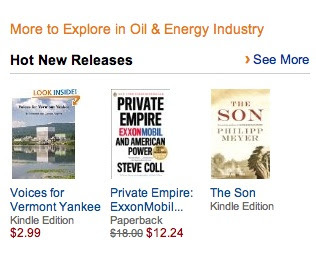 It is also featured as a Hot New Release in the Oil and Energy Industry Amazon web page. No. I have no idea what this really means, and it will undoubtedly change tomorrow. These numbers are updated hourly. But just for fun, I have taken some pix of the Amazon rankings. Voices for Vermont Yankee is also available for Barnes and Noble Nook, but I don't see any equivalent rankings on the site. They may well be there...I just don't see them. 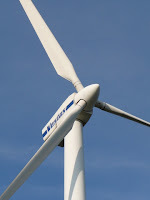 Today, Steve Aplin posts about wind, the Trojan Horse for natural gas plants. He writes the blog Canadian Energy Issues. Today's post Friendly communities key to energy infrastructure expansion in Ontario: gas plants the wake-up call is insightful but oddly familiar. Some things don't change much, alas, north of the border. The current premier’s government heeded the noisy opponents, and it got the gas plants fiasco. It would not hurt to at least listen to the quiet supporters. These supporters are intelligent and articulate, in every nuclear host community. Meredith Angwin, publisher of the excellent Yes Vermont Yankee, has written many articles featuring the supporters of Vermont’s only nuclear plant. They are worth reading. As I said, there is a qualitative difference in the rhetoric of pro-nuclear people and opponents. Meredith and her husband George have published an e-book that compiles Meredith’s accounts of Yankee supporters. I have also made two changes today to the blog structure: I added two widgets. One is a direct link to purchasing the book on Amazon (I bet you are surprised at that one!) and the second is something I should have done long ago. I added a translation widget. My focus of this blog is very Vermont-centric, but people all over the world have similar issues about energy sources. About 15% of the blog readers do not live in the United States. It's about time I recognized all the people interested in this blog, and put that translation widget in place. I should have done it much sooner. Well, it's there now, at least. Update: Oops. I underestimated the non-US readership. World-wide readership is above 20% , with Germany and Russia leading the list. Yesterday's blog post announced the Voices for Vermont Yankee e-book, available for $2.99 on Kindle and Nook. There are three more blog posts today that welcome this book. (This book) is a good read; especially if you sometimes despair for American democracy. The people who support the plant are well educated, well spoken and passionate about the importance of clean, reliable, safe energy for now and for the future. I highly recommend the book and gave it 5 stars in my review on Amazon. And thank you to Rod and Gail for the other good things they said in their posts. Well, this is a little awkward. The third post is one I wrote myself, at ANS Nuclear Cafe! 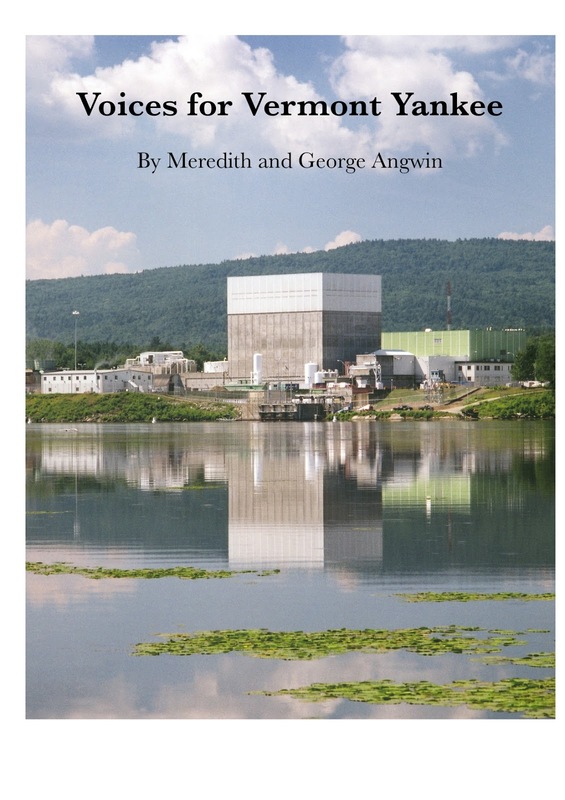 Most of the post is a celebration of Vermont Yankee's decision to refuel, Some of the post is about the book. 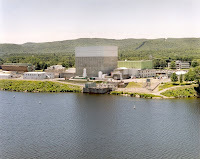 Vermont Yankee and Optimism gives many reasons why I am optimistic about the plant's future. Yes, there's even a graphic of natural gas prices and rig counts. ...Let me give one example of why there should be eBooks. If you want to read Isaac Asimov’s Robot stories, why leaf through tattered old copies of science fiction magazines? The stories were first published in such magazines, but later they were assembled in a book: "I, Robot." It is much easier to buy the book directly. 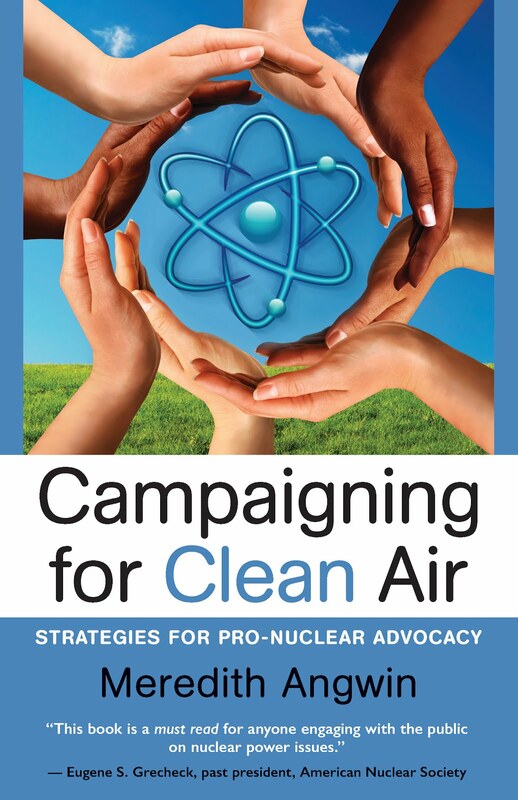 I encourage my fellow pro-nuclear bloggers to build eBooks, and I hope that many of them will do so! And I hope many of the people who read this blog will buy and enjoy Voices for Vermont Yankee. A new book, Voices for Vermont Yankee, has been written in support of continued operation of the nuclear power plant. 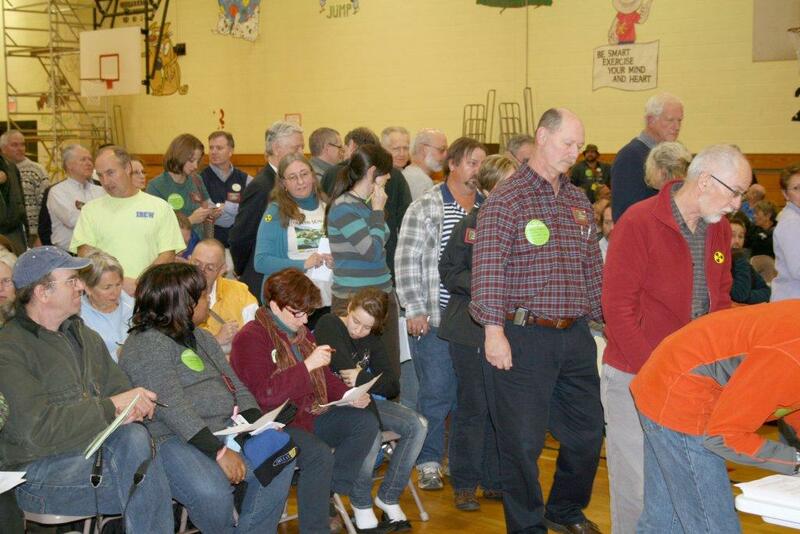 Many local people testified in favor of the plant at recent Public Service Board hearings. The book contains 21 statements in favor of the plant, as well as many pictures of the people and the hearing..
Professors, housewives, plant employees, farmers and business people all spoke to support Vermont Yankee. George and Meredith Angwin gathered this testimony and published the book. Voices for Vermont Yankee makes an important contribution toward balancing the debate about Vermont’s energy future. Much of this debate has been dominated by well-organized groups that oppose the local power plant. In this book, the combined voices of plant supporters make a powerful statement. The e-book is available at Amazon (Kindle) and at Barnes and Noble (Nook), both at $2.99 You can read it without owning an e-reader: free readers are available for iPad, iPhone, Blackberry, Android, PC, and Mac. Meredith Angwin is the director of the Energy Education Project of the Ethan Allen Institute. Both George and Meredith Angwin are available for interviews. This is the press release I just sent out to announce this book. I'll be talking more about the history of the book, my feelings about the book, and how I hope the book will inspire more people to speak out for nuclear. In later blogs. For now: Here it is! Enjoy it! Carnival #145 is up at Atomic Power Review. Will Davis starts with his usual teaser picture from his amazing archives. Then the Carnival begins, and it is lots of fun. Nuclear in space, old films about the "romance of radium" for medical treatment, a critique of the State of the Union speech (guess which type of energy was invisible, unnamed, etc), and an update on the Diary of a Nuclear Tourist from Suzy Hobbs Baker in Europe. Come, read, enjoy! Also, in honor of the refueling, I include a favorite video. Drum roll! Outage being planned! Time to Save A Millirem! “We’re proceeding business as usual and making upgrades where necessary,” Williams said. “As we plan this outage our assumption is we’re operating until 2032." A more complete list of planned upgrades can be found in the Vermont Business Magazine article by Timothy McQuiston: Vermont Yankee Will Refuel This Spring. According to that article: Among the operations planned for the outage to keep the plant up-to-date are: replacing and refurbishing some components; general preventative maintenance; replacing a large transformer; overhauling one of the three feed-water pumps; and replacing a recirculation-pump motor. So why am I saying "I sort of told you so"? These articles were posted on February 20, and this blog post is February 22. I am just catching up with the news, right? Not completely. The background for this story always includes a recent financial analysis report by UBS. The report claims that Vermont Yankee is uneconomical and may well be closed by Entergy. Andrew Stein at Vermont Digger reports on this analysis. 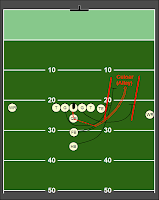 An earlier article by Stein provides a link directly to the UBS report. I was interviewed about the UBS report last week. I felt its conclusions were umm...overstated. In other words, I am not surprised that Vermont Yankee is refueling instead of closing down. To some extent, I told you so. I told you last week. Last week, Pat Bradley of WAMC interviewed three people about the UBS report. I was one of the interviewees. Bradley does a great job of summarizing the arguments in about three minutes. As you might guess, I was the only interviewee who said Vermont Yankee was probably not going to close. This was not just Meredith-being-optimistic. My reason was that natural gas prices set the price on the grid, and natural gas prices are high in the Northeast. So grid prices are higher here than other places. Therefore, merchant nuclear plants in this area can probably make money, especially since gas prices are very likely to rise in the future. You can listen to three people (including me) interviewed by Bradley at this link: Financial Firm Predicts Closure of Vermont Yankee. About a day later, Matt Wald of the New York Times wrote an article about gas and electricity prices: In New England, a Natural Gas Trap. His article confirmed what I said on the radio about gas and electricity prices in this region. I also suggest reading Jim Hopf's ANS Nuclear Cafe post on Potential nuclear plant closures and what could be done to stop them. The early section on natural gas prices is most relevant to Vermont Yankee. prices will rise all over the country (as the gas glut diminishes over time). This means grid prices will be higher in the Northeast and merchant nuclear plants in this area will be in a good situation in the near future. I think Entergy probably came to a conclusion similar to mine. On Sunday night, I took part in an Atomic Show podcast with Rod Adams, Margaret Harding, Andrea Jennetta, and Cal Abel. The title of the podcast is Atomic Optimists, and you can hear it or download at the link. The group was very optimistic about the future of nuclear energy. We are a group of friends, at least the on-line variety, and we had a great time talking about our favorite subject: nuclear energy. We were optimistic, as reflected in the title of the podcast: Atomic Optimists. However, we weren't optimistic about everything. As Rod Adams wrote: We worried together about the fact that some leaders in our nation seem to be happy to be directing a post industrial economy despite the fact that people still want things, not just services like those provided by lawyers and accountants. Carnival of Nuclear Energy Bloggers number 144 is now up, hosted at ANS Nuclear Cafe and compiled by Will Davis. 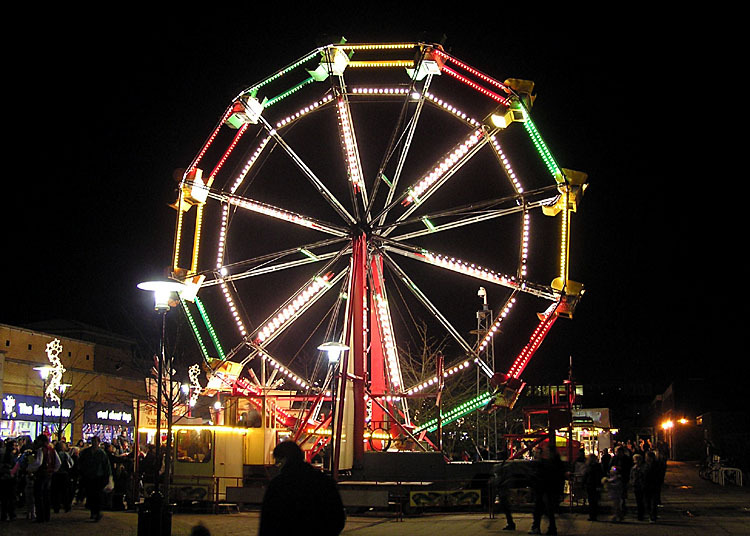 This Carnival takes on the big picture (is biomass green? do radiophobia and chemophobia have similar roots? ), the small picture (Vermont Yankee, sigh), and the really big picture (fusion, economics). And more, much more! Visit the Carnival and have a good time! At my event, the same Plan was used it to "prove" that Vermont Yankee is not necessary for the future of Vermont. There were several other differences between our two events. The Joint Committee presentation was supported by Vermont tax-payers. Entergy pays the costs for PSB hearings about the Vermont Yankee Certificate of Public Good. Vermont Yankee's low-carbon energy production could help mitigate climate change, but Vermont wants to shut down the plant. (PSB meeting). Roper shot a great 3-minute video at the Joint Committee meeting he attended. I encourage you to watch it. I didn't shoot a video at the Public Service Board hearing. However, I hope to blog about it in a few days. The PSB meeting had no PowerPoints but lots of lawyers. How many in-state, renewable power plants would it take to generate five percent of all energy used in the state? This isn’t just an academic question for energy policy wonks. The State of Vermont has hitched its wagon to the star of 90 percent renewable power by 2050, and is pulling mighty hard to build more wind turbines, solar farms, and other renewable power generators. And some Vermonters are pushing back just as hard. There’s no lack of spirited debate, but sometimes it’s hard to find good, solid facts. On February 7, the State of Vermont’s Director of Energy Policy and Planning, Dr. Asa Hopkins, performed and important and very informative public service as he addressed the Vermont Energy Generation Siting Policy Commission at a public hearing in Montpelier. 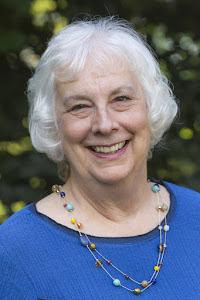 Using “just the facts, ma’am” tone and detail, Dr. Hopkins described what a five percent increase in Vermont-generated renewable electric power would look like. Using large wind only, the state would need to generate 288 megawatts (MW), equal to 96 three- megawatt turbines. That is 4.6 times the capacity of the Kingdom Community Wind project. Using solar only, the state would need to generate 576 MW (5.4 square miles – half the size of Burlington or 1.3 times the size of Barre City), equal to 262 2.2 MW solar generators – the maximum size allowed under the state’s “standard offer” subsidized power program. Hopkins himself liked it to placing slightly more than one 2.2 MW solar plant in every town, city, and gore in Vermont. Using small hydro only, the state would need to generate 173 MW, almost twice the estimated capacity available from powering 300 of the 1200 existing dams. Hopkins noted that the federal permitting process for small hydro can be lengthy and complex. Using biomass (woodchips) only, the state would need to generate 139 MW, which would require an additional 1.1 million tons of fuel per year. At present, Vermont now uses 1.5 million tons/year total. Dr. Hopkins noted that the expected reduced demand through conservation will cancel out the projected annual growth in demand for electricity. There is a notable exception: when demand for electricity rises by one-third due to the transition to plug-in electric vehicles. Energy conservation can’t keep up with a power demand spike of that size. At that point, Vermont ‘s power supply would need a real boost. Two years ago there was just a single ridgeline wind facility, now there are four. Solar power production on rooftop homes, on large buildings, and in pastures are on the rise. Plug-in car registrations grew 57% in 2012, but only to 188 in total. Can we build (and afford) enough renewable power? If we can, do we want to? These are questions that Vermonters will continue to debate. But with the help of Dr. Hopkins’ illustrations, at least we can better understand what the finished work might look like. Guy Page is Communications Director of the Vermont Energy Partnership. 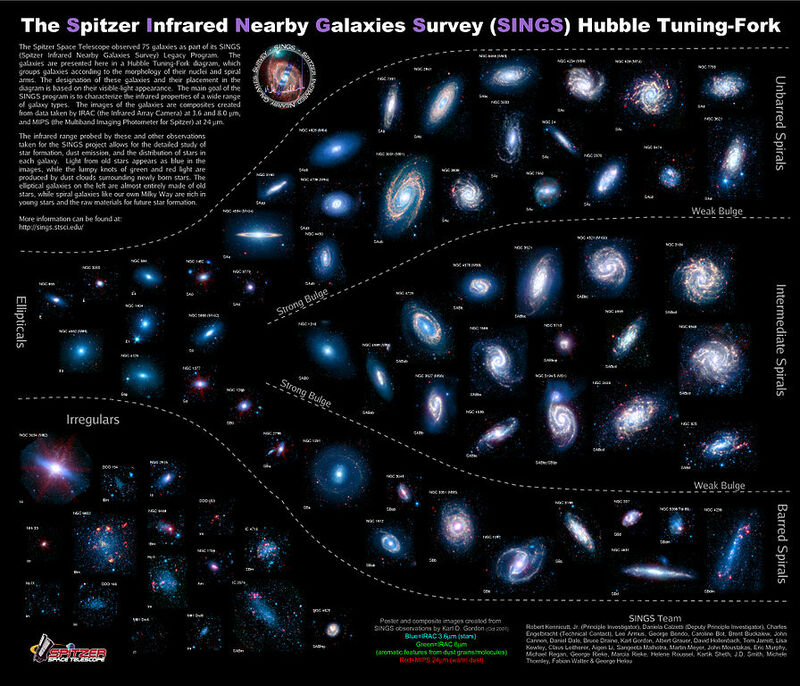 He has several excellent guest posts on this blog. His most recent post was Energy Policy is Key to Vermont's Future. Vermont Energy Partnership is a diverse group of more than 90 business, labor, and community leaders committed to finding clean, affordable and reliable electricity solutions. Entergy, owner of Vermont Yankee, is a member of the Vermont Energy Partnership. Asa S. Hopkins is the Director of Energy Planning for the Vermont Department of Public Service. 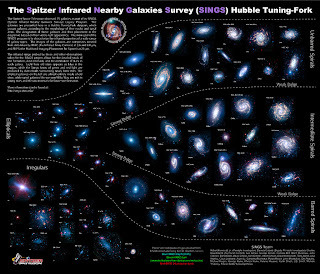 He holds a Ph.D. in physics from California Institute of Technology. He previously held positions at the Department of Energy and Lawrence Berkeley Laboratory. My op-ed about Vermont Yankee economics appeared in the Valley News this Sunday. In that article, I discussed the state position in the appeals court hearing in New York last month. The state tried to make the case that Vermont Yankee had a negative economic effect on Vermont and its utilities. Nothing could be further from the truth. Vermont Yankee is an economic asset to the state. Also, if grid prices rise, the revenue-sharing part of the Memorandum of Understanding could send more than half a billion dollars from Vermont Yankee to state utilities. My "half a billion dollars" number comes from a quote from the attorney for the state, who apparently thinks that if Vermont Yankee shared money with Vermont utilities, that would be a Bad Thing. In the past few days, several local people told me that they had never heard of the revenue share arrangement before I wrote about it in the op-ed. They had no idea that Vermont Yankee might be paying a $500 million dollar bonus to local utilities. Yesterday, I received an email from a local man who is basically in favor of Vermont Yankee. He asked if perhaps the revenue share money could be added to the decommissioning fund? I wrote him a long response answering his question. I decided to share my email here, with a few changes. Hi and thanks for the email! Actually, revenue sharing is one issue, and decommissioning is a separate issue. The purchase agreement for the plant (Memorandum of Understanding between Entergy, former owners, and the State Department of Public Service) requires ten years of revenue sharing. This contractual obligation kicks in after 2012 and when the grid price is above 6.1 cents. 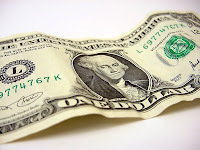 This revenue share money goes to the utilities.Vermont Yankee gives this money to the utilities, and the plant cannot use it for anything at the plant, including decommissioning. Decommissioning is a separate issue and a somewhat complicated one. Three interlocking points. 1) The NRC supervises decommissioning funds and makes sure they are adequate. When the stock market dropped around 2010, NRC required many plants (including VY) to add tens of millions of dollars to their decommissioning funds, because NRC judged that the funds had fallen below the required level. NRC does, indeed, watch these things. 2) What is "adequate"? Greenfields? NRC requires that the decommissioned site be radiologically safe and ready for another industrial facility. Many opponents want to raise the cost of decommissioning (Conservation Law Foundation has a branch, Conservation Law Foundation Ventures, that actually does decommissioning legal work, for money.) Opponents want to raise the costs, both for their own gain and to harass nuclear plants. For example, for Vermont Yankee, opponents are pressing the idea that the site should be "greenfield" with ALL underground concrete structures removed, switchyards removed...basically, a cow pasture. This would cost Yankee tons of money, estimated at more than $40 million dollars. "Greenfield" or "not-greenfield" is not something the NRC cares about, one way or the other. The NRC criteria require that a dismantled industrial site should be safe, and it should be ready for another industrial facility, not a cow pasture. If a state wants a cow pasture, that is between the state and the power plant. In the Vermont legislature, nuclear opponents are trying to pass a bill to require Vermont Yankee to instantly add "greenfield" money to a decommissioning fund. Conservation Law Foundation Ventures...gaining money from legal work about decommissioning for a nuclear plant and helping with site planning and popular acceptance for a gas-fired plant. They definitely stand to gain, monetarily, if Vermont Yankee is closed. My words in italics are not precisely their words. I suggest your read their boasts for yourself. 3) What is "adequate"? SafStor? 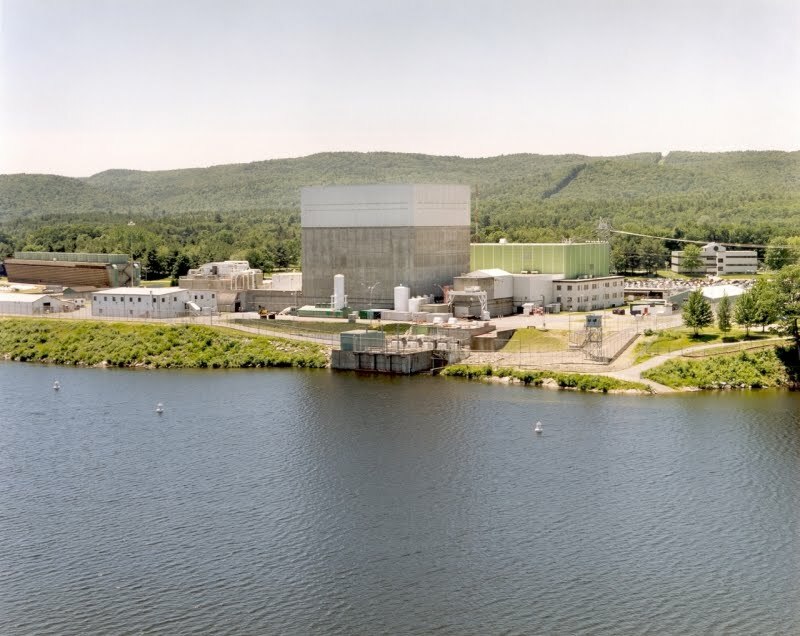 Both the Vermont Yankee Memorandum of Understanding and the general NRC rules allow the plant to be mothballed (SafStor) for up to 60 years before full decommissioning is complete. This allows the plant to be less radiologically hot when decommissioned. It also allows the decommissioning fund to grow through accumulated interest while the costs of decommissioning (in constant dollars at least) actually sink, because the plant is less hot. The opponents constantly say they "won't allow SafStor" but actually, they can't stop it. If Vermont Yankee chooses to decommission using SafStor, they have both federal and state permission. At the federal level, SafStor is in their license and part of NRC policy. At the state level, it's in the Memorandum of Understanding. Many plants have used SafStor, but usually only for a few years. However, sometimes (for example Indian Point) a small plant was built, retired, and two bigger plants were built next to it. In that case, the small plant (Indian Point 1) may well be in SafeStor for more than 40 years, because decommissioning the small one might interfere with the other plants' operation. My husband is off singing love songs to other women. Yes, it's the annual Barbershop Singing Valentines Fundraiser! So I am sitting around writing overly-long emails. Here's an example...not his group. The 143rd Carnival of Nuclear Energy Bloggers is up at Hiroshima Syndrome. It includes blog posts on unexpected interactions (cool white pavements save energy...unless you consider the effect of reflected sunlight on buildings), smog in China, the status of new reactor builds, the Crystal River decision, and more. Come to the Carnival and have some fun! Meanwhile, I have added two new blogs to my blog roll. One really IS a new blog: Diary of a Nuclear Tourist. Suzy Hobbs Baker is an artist and communicator. She founded Popatomic Studios and the Nuclear Literacy Project (NLP). As part of NLP, she is taking a nuclear tour of Europe, and blogging about it. Here's her post at ANS Nuclear Cafe about the Diary of a Nuclear Tourist project, and here's her post Day One, Up and Running. I welcome this new project and new blog! I cut and pasted part of the blog banner here, because Baker is an artist and the banner is just so neat! - Pro-nuclear power blogs, preferably referencing actual operating plants. - Local New England news blogs, often referencing Vermont Yankee. I just recently realized these are my criteria, though I didn't have an explicit statement about it before. What about blogs that I don't include? I don't have blogs that are primarily about global warming or thorium reactors. I believe that global warming is man-made, and I hope the thorium reactor is developed. However, so far, I don't put blogs on these subjects on my blog roll. This may change in the future. Currently, I use the criteria above. My blog list has 26 blogs. Visit the blogs and have fun! My op-ed in the Valley News this morning. In appeals court, Vermont lawyers tried to make the case that Vermont has "economic" reasons to shut Vermont Yankee. Actually, of course, Vermont Yankee is a major economic asset to the state of Vermont. Vermont has no economic reason to close it. As the title says: "Lawyers can't rescue a weak case." I went to a Superbowl party, and everyone asked me: "What's going on with Vermont Yankee?" There are four court cases, at least two Public Service Board cases, and maybe more. Here goes. The first case is the federal appeals case held in New York City last month: 2nd Circuit Court of Appeals. The state was trying to convince the court that it had economic reasons to shut down Vermont Yankee. The hearing was 30 minutes long and I think that the state's case is fairly weak. In any event, the judges will rule in a few weeks or a few months or whenever. You can read about it and listen to the hearing on my blog post: State Claims Economic Argument for Closing Plant. The second case is the intervenor case claiming that Vermont Yankee is operating illegally: this case was brought in Vermont Supreme Court. This is the "let's you and him fight" case, where the Public Service Board wrote a strange ambiguous letter that opened the door for such lawsuits. You can read about it at my earlier Hot Potato blog posts. Or you can watch a succinct 90 second video from WPTZ at my post: The Short Version: Another View of the Vermont Supreme Court Hearing.The hearing is over, and we wait for a ruling from Vermont Supreme Court. The third case is a new case, brought by Entergy, about the Public Service Board closing a docket. This case is also in Vermont Supreme Court. The Public Service Board had a docket, docket 7440, on the Vermont Yankee Certificate of Public Good, but they decided that docket was compromised by the various lawsuits. So the PSB opened a new docket, docket 7862, subject of my blog post: Docket 7862, Where Are You? (Docket 7862 is now on the Public Service Board website). In January, the Public Service Board closed docket 7440. However, the "you and him fight" letter (see the second case) was on that docket, and closing the docket might have consequences. I am not a lawyer, and I am puzzled. However, Entergy reviewed the matter, and they brought suit in Vermont Supreme Court against the Public Service Board for closing the docket. An article by Susan Smallheer at the Rutland Herald gives the background of the case. The article ends with the confusing (to me) statement that the PSB thinks that by triggering an appeal by Entergy, the court cases would ultimately be simplified. I also recommend you to read the Entergy brief, which I have posted at the Energy Education Project website. It has appendices that give all the relevant statements, dockets, etc. The Entergy brief is like a history of the case. When you figure out this whole thing, write a comment or send me an email. Okay? Thanks. I appreciate your help. The fourth case is about money, specifically the sudden $12 million dollars a year tax that Vermont laid on "plants above 200 MW that started operations after 1965." Entergy claimed this was an unconstitutional levy on a single business. (I agree!) 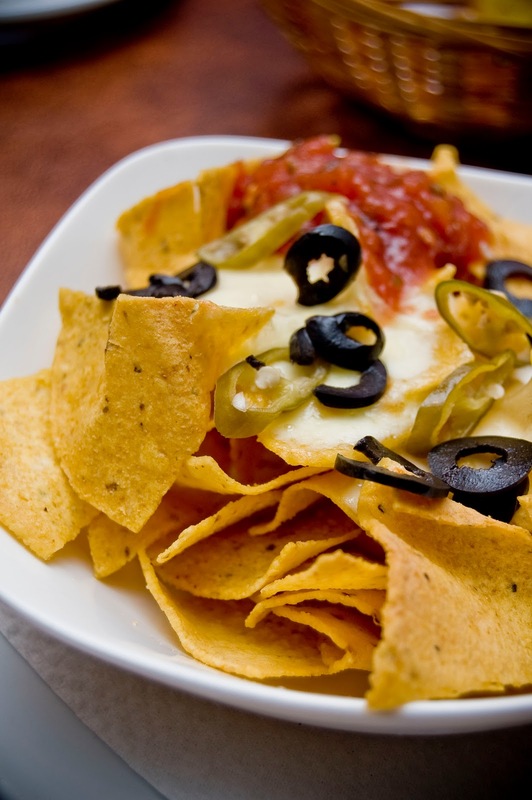 A federal court recently said they lacked jurisdiction on this and dismissed the case. I thought I would list it here, because it is an important case, in my opinion. It may be case-closed, or it may be heard in another court. I don't know, but I think it is important. One of the cases is Docket 7862, the new docket about the Certificate for Public Good. This seems to be going along according to schedule. Public hearings are over, but public input continues. You can submit your input through this form. I hope you will write something about why you think Vermont Yankee should have a certificate of Public Good. The other docket is about the new diesel generator, as mentioned in my post Black Start, BlackOut and Diesels. Due to a grid operator change in the classification of Vernon Dam, Vermont Yankee needs a new diesel generator, and needs a Certificate of Public Good for that diesel. There was one hearing on this docket 7964, and it was not reported in the press. Word of mouth says the hearing was very preliminary and inconclusive. I bet it was! If the PSB grants permission for the diesel, are they also signalling that they plan to grant a Certificate of Public Good for Vermont Yankee? If they don't grant permission, are they interfering with nuclear safety requirements? I personally think "inconclusive" will reign on this docket until other issues are resolved. Football is over until next year, but the court cases linger on....Sometimes I wish I wasn't the go-to person for these questions all the time. 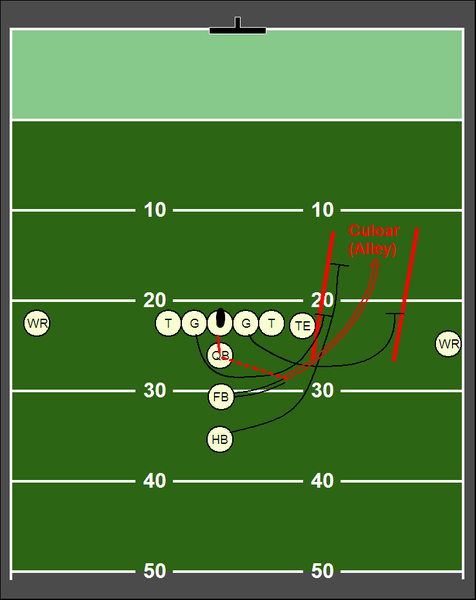 It makes it hard to concentrate on the game. 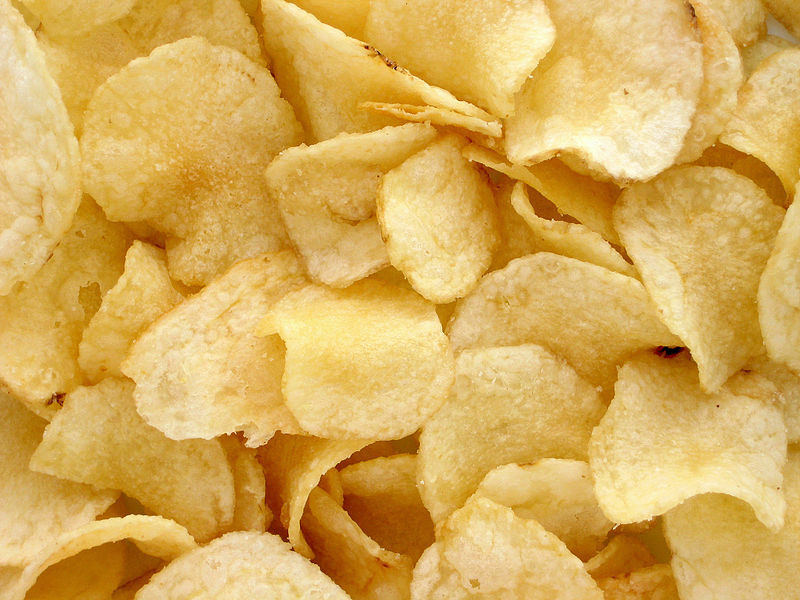 Can someone please pass the potato chips? 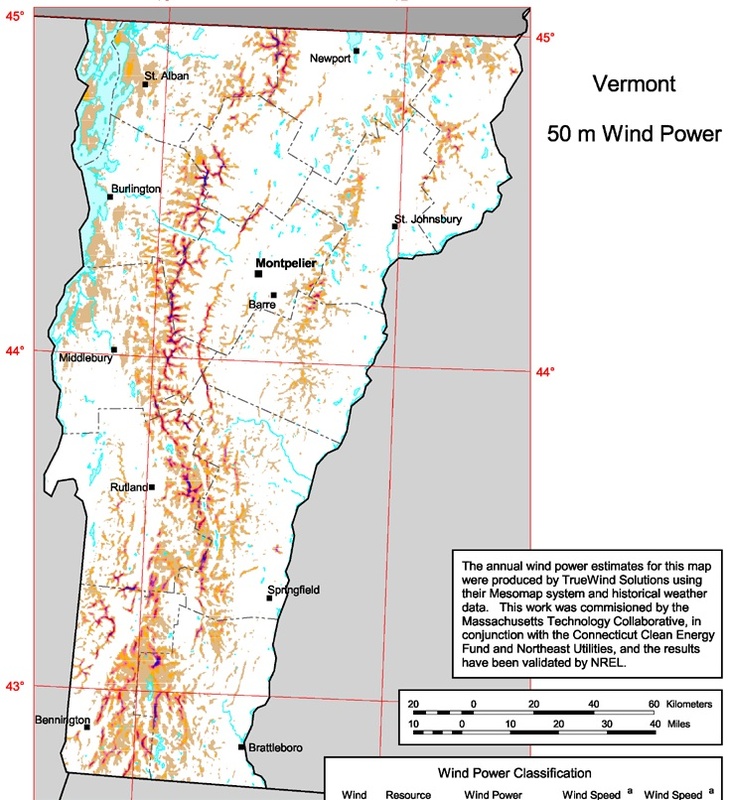 The Energy Education Project of the Ethan Allen Institute (I am the director of the Energy project) has a new initiative: the Vermont Energy Land Use Report. We announced the report in the Ethan Allen Institute February newsletter, and I copy that announcement below. Later, there will be press releases and so forth. To donate to preparing this report, click the Donate button on this blog or the Support Freedom button on the Ethan Allen Institute website. Please donate to help build a solid report which will be of interest to everyone in Vermont. Writing op-eds and letters to the editor about the economics of renewable energy and the problems with over-investing in these technologies. The Public Service Board must rule on a Certificate of Public Good for Vermont Yankee. The PSB evaluated this subject between 2008 and 2010, but then the Senate voted in 2010 to forbid the Board from releasing its findings. The Federal Court decision in 2012 told the state that it could not make decisions about nuclear plants based on nuclear safety. Nuclear safety evaluations are the purview of the Federal government. At that point, the Public Service Board decided its docket about Vermont Yankee was contaminated with inappropriate material. It opened a new docket, and held two public hearings about the Certificate of Public Good. In general, anti-nuclear groups completely mob these hearings, often with many people from Massachusetts. The Energy Education Project encouraged supporters of clean efficient energy to come to the PSB hearings. Other groups (such as Associated Industries of Vermont and the main Vermont Yankee union) did the same. Therefore, the meetings had a high proportion (in one case, a majority) of plant supporters. Since the supporters were not outnumbered, more of them chose to speak. We made an effort to have the Public Service Board hear both sides of the Vermont Yankee story, including the supporter side. That effort was successful. There were only two public hearings on this docket. Plant supporters were there. In 2011, newly-elected Governor Shumlin was "shocked" to discover that the state's energy plan assumed that Vermont Yankee would keep operating. His appointees at the Department of Public Service put together an ambitious energy plan: the state will use 90% renewable energy for everything (including home heating and transportation) by 2050. This plan is similar to Germany's Energiewende plan, which is currently running into deep trouble. Too many intermittent sources are destabilizing the German grid. Neighboring countries, such as Poland, are tired of having their power plants be "backup" to Germany's intermittent power surges from wind turbines. These countries are setting switches to be able to isolate German power, when necessary. In other words, the European grid is becoming somewhat fragmented. Also, the electricity costs are forcing some manufacturers to leave Germany. However, the German plan is being partially bailed out by new power plants burning brown coal. The new Comprehensive Energy Plan for Vermont has striking similarities to the German plan. The Energy Education Project has written several op-eds about this issue. 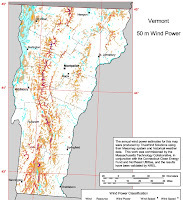 We will write a white paper in the near future about the land use consequences of the current Vermont Energy plan. Renewables are not only intermittent, they are diffuse energy sources, and require a lot of land to make a relatively small amount of power. Land use has only been addressed in a fragmentary way in the media, and we will rectify that. I am director of the Energy Education Project of the Ethan Allen Institute. The Ethan Allen Institute was founded in 1991 and is Vermont's independent, nonpartisan, free-market-oriented public policy think tank. The Institute was kind enough to take my interest in Energy Education seriously, and form a Project under the general heading of the Institute. We founded the Energy Education Project of the Ethan Allen Institute in September, 2010. Here's my blog post about the Energy Education Project launch. The Ethan Allen Institute just revitalized its website, to a great, modern site. I encourage you to visit ethanallen.org. The new site is attractive and very easy to navigate! Most of the topics are far removed from energy, but I expect energy will be higher on the agenda in the near future. You can donate to the Ethan Allen Institute by clicking the "support freedom" button on the web page.